There are all sorts of audiences. Each comes with its unique sets of challenges and sweet spots. As a trainer, my task is not only to know my material, but to find the storytelling style that works best for the group. If you miss with how you tell your tale, even the most valuable message will get lost. With the Leadership Academy for Poland cohort, I was stretched despite, or maybe precisely because I am an alumni of the program myself, and therefore a colleague not a visiting expert. Also challenging was the variety of experience and interest in the group. Of the 30 odd people in the workshop, a few had experience with meditation, most had not and some were openly uncomfortable with a simple breathing exercise. But I was fortunate enough to follow three alumni presentations, one of which demonstrated the power of personal stories in gripping the imaginations and attention of any audience. 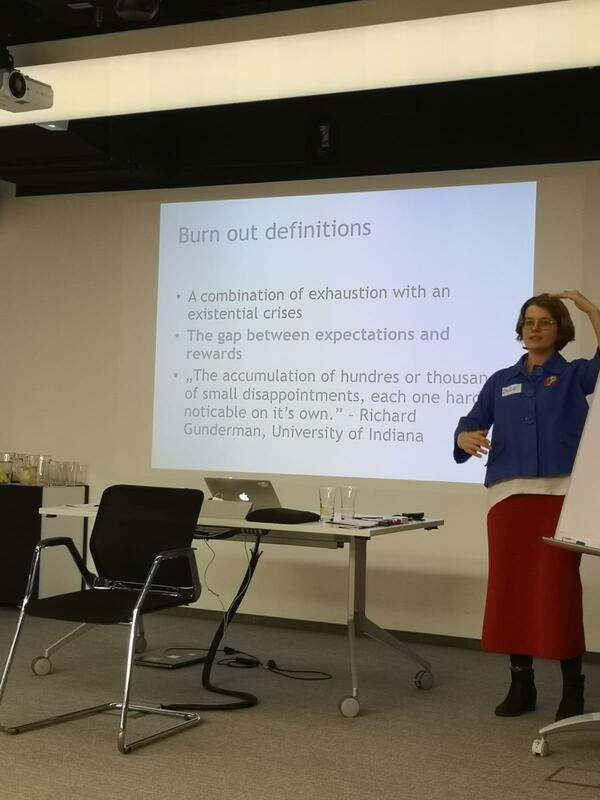 Inspired, I spontaneously began my „#mindfulness, #stress and #burnout” workshop with the story of how I came across mindfulness and what it changed for me. By opening up and becoming vulnerable we invite trust and create a sharing space. Afterwards it was easier to use science and exercises to explore the topic of attention training, stress and burn out without losing anyone’s engagement. -and that burn out is an psycho-physical crises that is within management’s scope to prevent. As feedback has filtered in since the workshop, I am humbly happy to have sown the seeds for self reflection and self leadership in a group of people so diverse, and with such potential to change Poland into a better country.